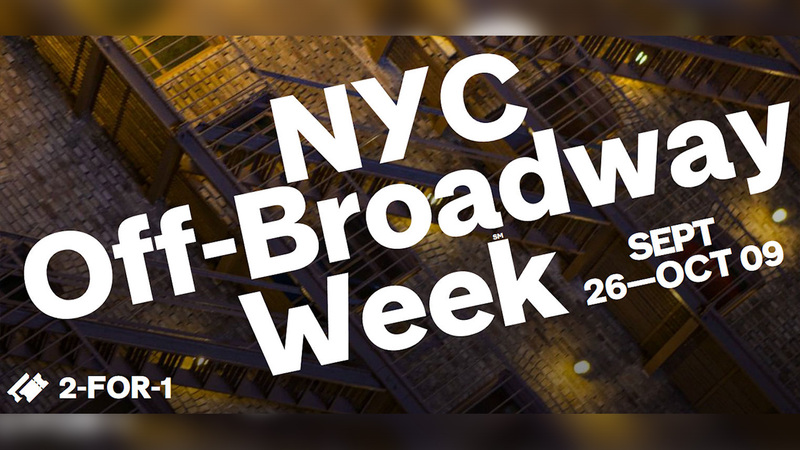 NEW YORK (WABC) -- Tickets for New York City's Off-Broadway Week go on sale Monday. Theatergoers can purchase two-for-one tickets to more than 30 off-Broadway productions for showtimes beginning later this month. The two-week event runs through October 9. The bi-annual promotion is designed to encourage locals and visitors to experience some of the best live theatre New York City has to offer in smaller venues. To purchase tickets and to view a full list of participating shows, visit NYCgo.com/offbroadwayweek.